I don’t know what it says about me, but I’m a total sucker for the whole Romantic Comedy genre. And that is how I’d describe this book, the kind of romance that I love – great characters, a sweet innocent romance and humor galore. Top it off with a heroine who saves dogs, and a positive message and you’ve got a winning recipe. Teen, Harper O’Malley’s world is just fine, she’s got a fantastic family, great job, and her biggest concern is how to get the boy of her dreams to notice her. When the star of her school’s football team asks her to tutor him, she knows the perfect way he can pay for her services – teach her how to flirt to capture the heart of her love interest. But when a family crisis occurs, her simple life is turned completely upside down. 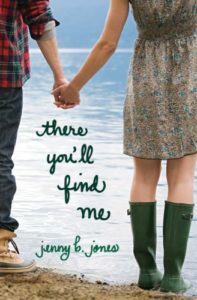 This is the first novel that I’ve read from Christian YA author Jenny B. Jones and it definitely won’t be the last. I am a big fan of her witty writing style. She masterfully weaves humor, serious family issues and romance together to create a truly entertaining story. This is actually the second book in Cynthia Toney’s Birdface series, but you don’t have to read the first book to enjoy this wonderful YA novel. I actually read this one first but found the characters so intriguing I had to pick up the first book, 8 Notes to a Nobody, to find out more about the characters. I loved that this novel was about a regular girl who faces real issues – misunderstandings with friends, complexities of blended families, difficulties with aging loved ones and complicated feelings of a new relationship. Toney expertly blends all of this around an intriguing family mystery which makes the story even more compelling. This is the kind of book so many parents search for – a thoroughly enjoyable wholesome story with issues that teen readers can relate to. 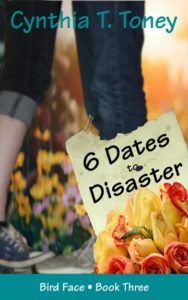 Six Dates to Disaster is the third book in Cynthia Toney’s Bird Face Series. This series follows the life of teen Wendy Robichaud. Wendy is a good kid whose seemingly innocent decisions lead to some trouble in her life. I found her predicament in this novel to be quite relatable. Often teens don’t purposely make bad choices but instead get into trouble as good intentions somehow spiral out of control. In this book Wendy finds herself trying to raise money to visit her beloved elderly friend, Mrs. V. Trying to achieve her goal leads to some problems with friends, relationship, family and school. Cynthia Toney’s style is always easy to read, enjoyable and flows so easily that I find myself devouring her stories quickly. 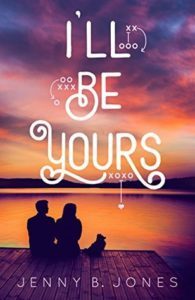 As with her other books, this novel deals with many everyday challenges that teens might face such as financial difficulties, blended families, issues with dating and friendships, as well as facing consequences for their actions. Readers of the previous books in this series will be happy to know all the wonderful characters from the first two books are back. I don’t know if the author is planning on writing a fourth novel in this series but she left me wondering what happens next and hoping for more. What a lovely teen, historical romance. 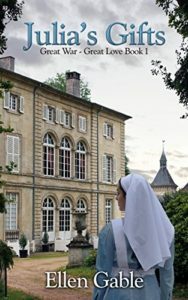 The book is set in France during World War I and is about Julia, a young lady from America, who decides to volunteer for the Red Cross and work at a field hospital in France. As a teenager, Julia began collecting gifts for her future husband – her beloved. She doesn’t know who this person might be, but she knows he’s out there somewhere. I loved the premise of the book. I’ve always liked the idea of prayer for a future spouse so enjoyed the idea of buying special gifts for them. I don’t want to give anything away but love how the story unfolds and how the gifts become part of the story. Rightfully Ours is a novel for older teens about the importance and beauty of chastity. This is the first book I’ve read by Carolyn Astfalk and thoroughly enjoyed her writing style. She is an accomplished Catholic romance writer and has brought her skills to the YA market. 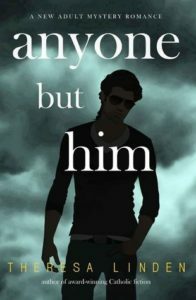 This book is full of relatable characters, touching family traumas, teenage passions, and an intriguing mystery. 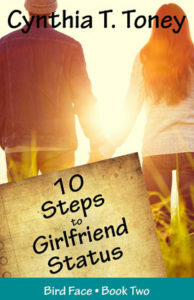 While an enjoyable story, this book deals with an important subject matter that teens face in our society- purity. I look forward to reading more from this author. Theresa Linden has quickly become one of my favorite authors. She is certainly one of the best Catholic YA authors out there today. Through each of her novels, her writing keeps getting better and better. The series of books that she has written about the West Brothers is simply spell-binding. These novels differ from most series in that each of the books is written from the perspective of different characters. Each book is very unique and great on their own but put the entire collection together and it becomes extraordinary. Her newest book in this saga of the West family, Anyone But Him, is so fantastic that I know it will be one I will read numerous times. I don’t often re-read books but once in a while, one touches me, and I become so connected with the characters that I must revisit them from time to time. Anyone But Him is that kind of book. The author has a lot of elements going on in this story – mystery, romance, amnesia, and a pro-life message. How she intertwines and weaves all these pieces together is perfection. There were so many scenes that I read numerous times because they were so captivating. In this book we are reunited with some of the characters from the West series, but they are now a few years older. Amnesia can sometime be used as convenient tool, but Linden uses her character’s memory loss to slowly reveal the past to us. In this story, the amnesia is a powerful and moving way to bring the love story and the mystery to life. Bravo Theresa Linden for creating another incredible story. Truth be told, I am a big fan of Christian author Jenny B. Jones. I love her writing style, her engaging characters, and their snappy dialogue. I also have always been a sucker for a great romantic comedy. But what I love the most about this author’s work is the way she includes faith and deeper subject matter within these fun romances. When Finley Sinclair spends a semester abroad to follow her late brother’s travel journal, she discovers more than she was searching for as she grows close to her host family, the elderly woman she is assigned to visit for a school project, and the egotistical celebrity that is in town filming a movie. While There You’ll Find Me has a lot of fun elements this book also deals with the loss of a family member and eating disorders, both of which are horribly painful difficulties that some young people face. In addition, there was a very powerful storyline about forgiveness that will stick with the reader long after the book is finished. So, while I’m categorizing this as a romance there is much more to this story.